Very pretty, great quality and presentation. Bought it for my baby 's baptism.... Its cute and adorable. Like the box for it, its so presentable.... For sure everybody will like it when im gonna hand it to the godparents, friends and family. Q:Hi, for the box, can it be changed to a pink one instead of blue? A:The gift box color cannot be changed. 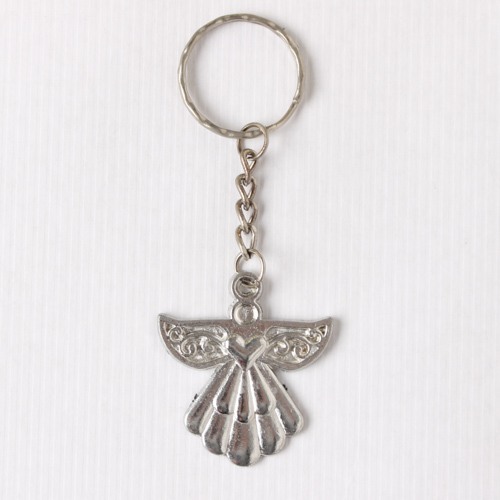 Give your party guests a little angel to watch over them every day when you add these angelic keychain favors to your party planning list. Perfect for baptisms, christenings, and holiday parties, each angel is made of high quality pewter-colored resin accented with inlaid ivory enamel and glittering rhinestones. 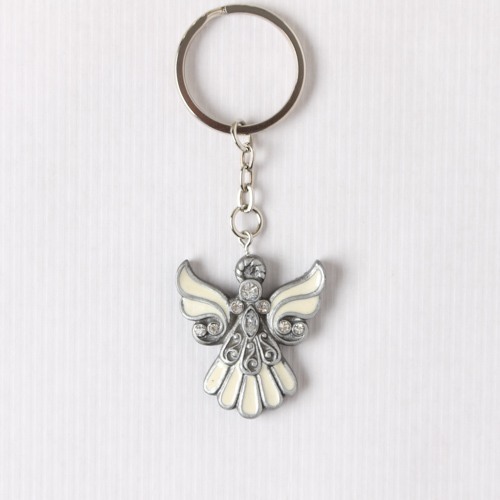 Guests can keep their angels close by with the attached metal chain and key ring. 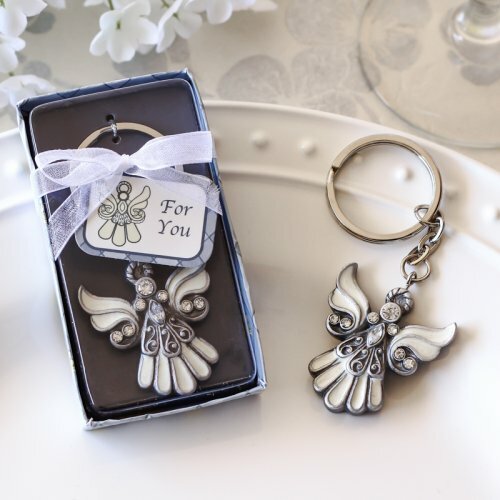 Each individual keychain in your order comes conveniently pre-packaged in its own clear-topped gift box tied with organza ribbon and a "For You" tag – a true done-for-you favor your guests are sure to love.